Beers, Georgia. 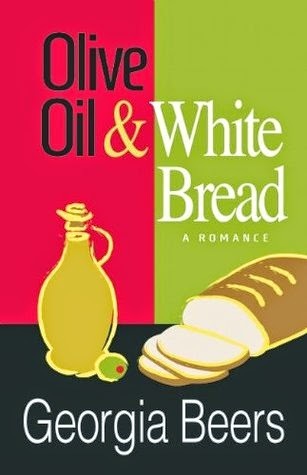 Olive Oil and White Bread. Bywater Books. 2014. $14.95. 240p. SC 9781612940496. Most romance stories begin with characters who meet, then fall in love, and the story ends with the characters living happily ever after. For Angie and Jillian, however, their happily-ever-after begins this novel, and the novel follows them throughout many years of their lives as they change jobs, fight, make up, move to new places, and face the mundane challenges of life. Angie’s Italian-American family is happy to embrace her and her partner, but Jillian’s family would prefer to keep her closeted. The differences in their backgrounds and family values become obvious as they live each day together throughout their lives. Fans of romance novels will enjoy this unique twist on a typical love story. Rather than watching the characters fall in love, readers get to watch the characters stay in love through all the typical ups and downs of life. The focus in this novel is on the characters themselves, so there is not much plot to be found. Readers who enjoy an obvious problem –resolution pattern to a novel will find themselves frustrated, but those who appreciate a character sketch will enjoy getting to know Angie and Jillian and their individual quirks, struggles, and triumphs. The novel’s slow, measured pace and focus on characters will make it a hit with readers who enjoy cozy stories they can pick up as they have time to read. Recommended for public library romance collections and LGBT special collections for its unique twist on the typical romance story. I have had a few (not many, but a few) people wonder if I spend my whole day sitting at my desk reading books. Any fellow school librarians (or any librarians, for that matter) are chuckling as they read this, because they know that librarians are, unfortunately, the last ones to get to sit and read, especially at work. I always carry a book with me, so the students can see that I do value reading, but I often carry the same book to and from work for an entire week and only read a few pages at home when I have a spare moment or two. 7:20 AM: I arrive at school. Technically, my day doesn't start for another ten minutes, but if it's cold or raining outside, I don't like to leave the kids outside waiting for classrooms to open, so I'll open the library as soon as I get to school. I turn on my computer and spend the next forty minutes checking books in, checking books out, making recommendations, and chatting with the students who are waiting for school to start. I typically have 30 or so students in the library first thing in the morning. 8:00 AM: First period starts. I use this time to shelve any returned books and straighten the books still on the shelves, as they have been ravaged by the students before school. Then I double-check my [still unfinished] to-do list from the day before and make sure there aren't any important emails to reply to. If any classes are coming to visit the library [and there usually are at least two], I prepare some books to booktalk to them so they have an idea of the different types of books available. Throughout the day, I answer my phone, supervise children who need to make up tests, check out textbooks to new students, answer random teacher questions [no, I do not have a copy machine in the library, etc. ], scour the internet for free books to give to my kids, complete parts of projects like dividing the library into genres or just cleaning each of the shelves since they can get pretty dusty throughout the year. I also write book reviews, as I often receive free ARCs [advanced reader copies] of books in exchange for reviews. 11:00 AM: Seventh grade lunch. I make sure to run to the bathroom before the kids come, because once they are in the library I will be trapped for thirty minutes. 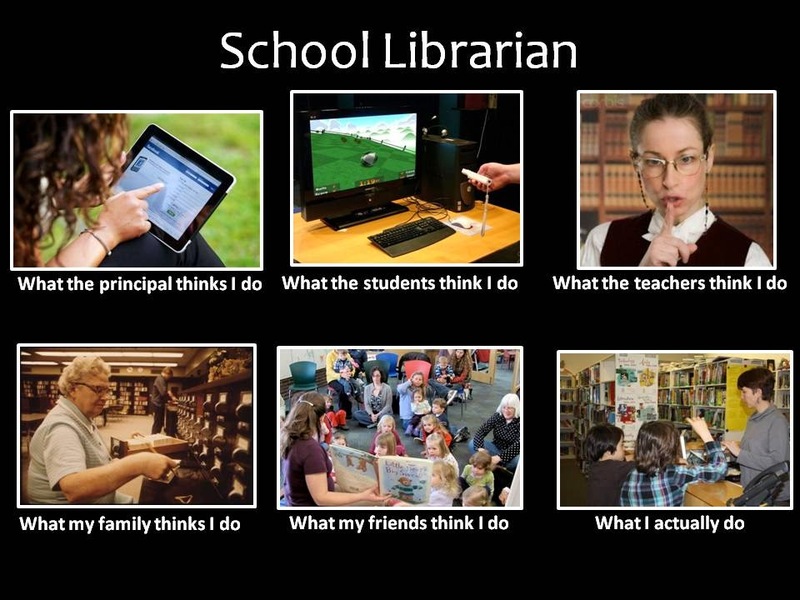 This is a repeat of the before-school time, except I can have up to 60 kids in the library at once, all checking books in and out, asking for recommendations, playing games, looking at old yearbooks, working on homework. I work my circulation desk and also keep an eye on the kids to make sure any shenanigans don't get too out of hand. 11:40 AM: Seventh grad lunch is over. I hurry to lock the library and run to the teachers' lounge to eat, if I'm lucky. Sometimes a class is visiting during this in-between time, in which case I'll gulp down my lunch later. 12:10 PM: Eighth grade lunch. Same as seventh grade, but bigger kids. 12:40 PM: Lunch is over! I quickly shelve returns and pick up any stray books, making sure the shelves are back in normal order and all the chairs are pushed in. This is my time to search for more free books, apply for grants, write reviews, schedule any library visits, etc. etc. unless there is a class coming to the library. 2:50 PM: School is over for the day, but the library is still open. I have a small crowd of kids who will come in to check out one last book before heading home. A small group of boys has their own CCG [customizeable card game like Magic] they like to play, so I let them use one of the tables for as long as I am still at work. Some kids come in to do homework before they head home. Teachers may stop by with questions. It's mostly fairly quiet. I get the returns checked in and ready to shelve, make one last round of the room to pick up stray items and lock the doors, and make sure my to-do list is ready for the next day. 3:30 PM: If there are kids left in the library, I kick them out, then grab my lunch [hopefully I've had a chance to eat], the book I'm always in the middle of, and my car keys. I lock the library and head home. Perhaps tonight I'll have a chance to finish that next chapter in my book. Sheldon, Jean. Puzzled by the Clues. Bast Press. 2014. $14.95. 287p. SC 978-0-9838136-3-7. Charles Bowen is found dead, presumably of suicide, but when the gang looks into his death, they discover a crossword puzzle with hidden clues, clues which lead around the world to Nuremburg and implicate more people in more wrongdoing than they could ever have imagined. Much more than the murder of one man, Nic, Nora, and the gang are now investigating the genocides of the Second World War. But will they be able to find their answers before it’s too late? This second installment in the Nic & Nora mystery series is more globally aware and action-packed than its predecessor. Set at the conclusion of the Second World War, the historical details in this story again will be a delight to readers who enjoy period mysteries. The characters from the first mystery return and continue to provide depth to the story as they deal with their own personal traumas and triumphs in the midst of a murder investigation. Historical perspectives on the difficulties of being a lesbian couple will intrigue readers of all stripes. Compelling writing will keep readers turning the pages to find out who is responsible. 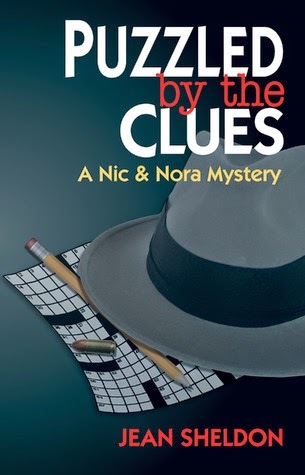 Public libraries with many avid mystery fans will want to add the entire Nic & Nora series to their shelves. Sheldon, Jean. 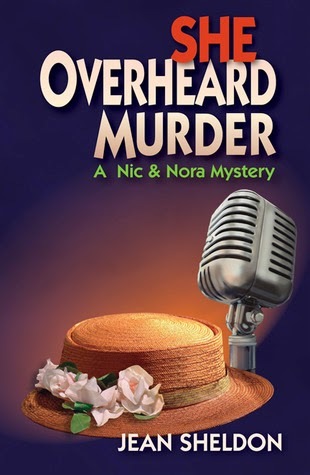 She Overheard Murder. Bast Press. 2013. $14.95. 276p. SC 978-0-9838136-2-0. Nic Owen has just made her debut as a character in a radio drama when it is discovered that her predecessor was murdered. Carolyn’s husband wants to know who murdered her, as does Carolyn’s longtime “friend,” Nora. Nic, along with all of her new cast mates, is considered a suspect. Will Nic be able to discover who murdered Carolyn and clear her good name? This novel fits perfectly within the mystery/detective genre with the added bonus of LGBT characters and an historical setting. The 1940’s setting is well-described, down to the details of available technology, characters’ clothing, and even the treatment of women. This historical setting makes this book a perfect fit for readers who enjoy period mysteries. The characters in this story are well-rounded, realistic, and relatable. Each one is given enough detail to make him/her seem real, but not so much as to detract from the overall mystery story. The plot moves rapidly, and the various twists and turns before the final reveal are entertaining and keep the reader guessing as to who actually murdered Carolyn. The gritty, compelling writing style will carry readers through the end of the story. This book would be an excellent beach read or weekend read, and readers who have finished a favorite series and are waiting for the next book would enjoy picking this series up in the meantime. A recommended purchase for public libraries, particularly those whose patrons enjoy mystery series. Today is International Talk Like a Pirate Day, which is a great holiday to celebrate in a middle school. I will definitely be talking like a pirate and telling [probably lame] pirate jokes to the students all day. However, even though we will be swashbuckling and making people walk the plank, I still expect my students to follow my rules. Every library, every place really, has rules, and my students are very used to that by this point in their lives. They spent the first several days of school learning the rules for each of their classes, the rules for the cafeteria, the rules about what they can and can't wear to school, etc. When I first set foot in this library, there were no less than five different "library rules" signs on the walls, and each one had a different set of rules on it. I was amazed that the students weren't confused by all the inconsistency, but one of the first things I did [after removing the toilet bucket from my desk, which is another story altogether] is remove all the rules signs. I wanted to start the year with my own set of rules, once I figured out what they were. 1. Be respectful to adults and other students. 2. Be responsible for all library items you use. 3. Leave all food, candy, gum, and drinks outside the library. The "be respectful" and "be responsible" rules I borrowed from my teaching days. Those two rules cover just about everything that could possibly be a problem, because behavior issues can usually be tied to disrespect of another student (like taking a person's chair or name-calling) or irresponsible behavior (like fighting over a computer or neglecting to pick up game pieces when the bell rings for class). I like that these rules are simple and that the students generally understand that I want them to act like nice people and not jerks in the library. I don't have a "no running" rule, because running is dangerous to other people in the library and falls under the "respectful" rule. I don't have a no screaming rule for the same reason. The food rule is easy enough to enforce; I've told the students that if they are chewing gum, I'll ask them to spit it out, and if they have another food item I'll send them to the hallway to finish it. I don't throw away their food or drinks, but I do relocate them. Throwing away something the students paid for just makes them mad, and I don't want to anger them unnecessarily, but I do want to keep the library clean. I also don't have a rule about cell phones. A cell phone rule makes sense in a classroom, since we want students to pay attention and learn. But in the library I have students who chat with each other, who read books, who play board games, who recommend books to me or to others - all of those things can also be done on a cell phone, and I don't mind if they use them to look up an answer on Google or to show their friends their high score on Flappy Birds. It's important to me to have rules that are enforceable, and trying to stop all 50-60 students who are here during lunch from playing with their phones sounds like an exercise in futility. These rules work well for me in my middle school library, but I can understand if other types of libraries need different types of rules. What rules do you have in your library? 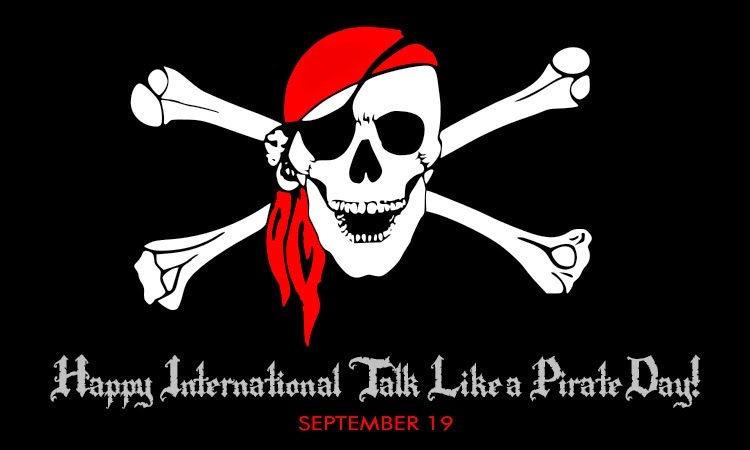 This Friday is International Talk Like a Pirate Day, a holiday that started as a joke between friends and mushroomed into a great activity to use in classrooms and libraries. Even Krispy Kreme is getting into the spirit of things, offering free donuts to people who talk like a pirate when they order their food. Last year we didn't celebrate this holiday in my library; I was too new to the profession and still trying to weed the 1950s-era books from my shelves. However, this year we are celebrating. I have a list of pirate vocabulary I will be posting on the wall as well as some pirate jokes that will be scattered throughout the library. In addition, I have found a few pirate trivia questions that students may answer in order to win a prize. I will be dressed like a pirate (well, a middle-school appropriate pirate who follows the dress code, of course), and there will be a display of pirate-y books for the kids to read. I'm posting this pre-holiday so that those of you who also wish to get into the spirit of things can borrow my handouts and signs, etc. Hart, Ellen. The Old Deep and Dark. Minotaur Books. 2014. $25.99. HC 304 p. 9781250047694. In this 22nd installment in the Jane Lawless series, Jane agrees to help Cordelia, a theater director, solve the mystery of a body found buried in the basement walls of a theater she is attempting to restore. 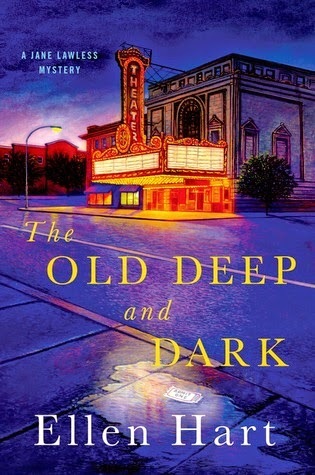 This investigation dovetails into Jane’s work on a country music scandal, and as Jane begins to connect the dots, she realizes there is more to this haunted theater than meets the eye. This story has much to give readers in the way of a compelling, fast-paced plot. The mystery story is well-written, complete with very accurate details about Minneapolis. Indeed, this western sister of the Twin Cities is an ideal setting for a haunted theater. As a mystery story, The Old Deep and Dark does not disappoint. Readers will be kept guessing and turning the pages until the very end. This is, however, the 22nd time Jane Lawless has appeared in print, and as such, there is not much character development in this novel. Fans of the other novels in the series will find the same Jane up to her old tricks, and newcomers to the series may wish to peruse previous novels to learn more about Jane herself. Some readers may wish that Jane would adapt and change throughout the series so that she isn’t the same character who appears in the first novel. It may be time for Jane to learn from her past mistakes. The compelling pace of this story as well as its well-written mystery make it a recommended addition to any public library’s mystery collection. The disaster that greeted me in the library at the beginning of this year is significantly different from the mess I saw last year. Last year I entered a dusty, disorganized, decrepit, dilapidated room where only the brave would venture. I was greeted with an emergency toilet bucket on my desk. This year the mess was more due to massive quantities of boxed curriculum being delivered, and that was easily solvable. I was pleased to discover that, once the dust had settled and the textbooks had been re-homed, the library looked pretty much the same as it had when I had left in June. 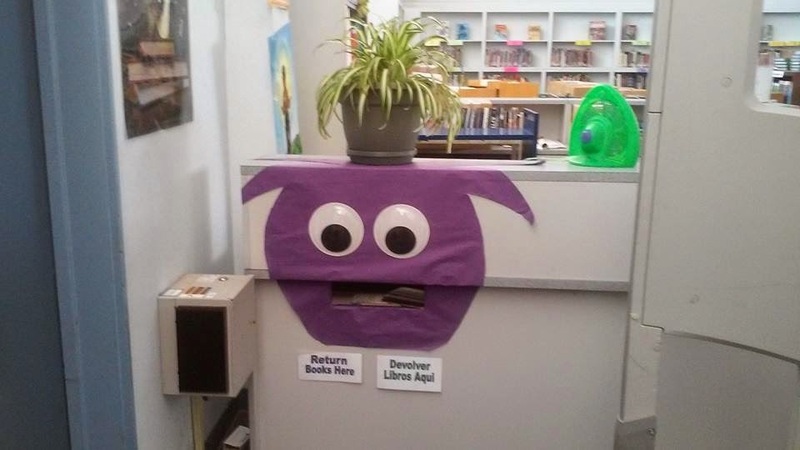 I think it looks much better this way, and it's easier to say, "Please feed your books to the purple monster," than, "When you return library books, put them in the book return; don't just randomly hand them to the librarian and expect that she'll know what you want." Since the library is so clean, I was able to open for regular library business on school day #6, which is two days sooner than I had previously expected. 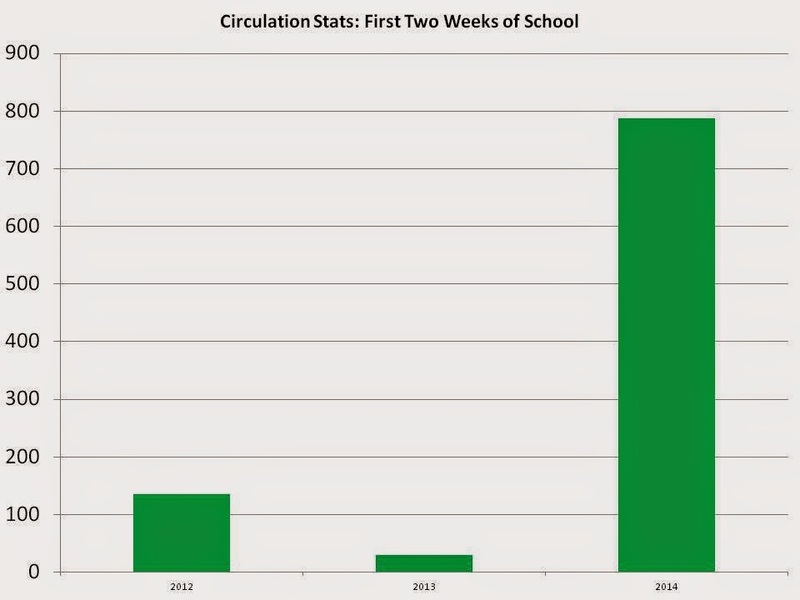 Our circulation stats have been amazing so far. I combine the months of August and September in my records, since we are only in session for a week of August and the library has typically been closed for that entire week. Two years ago (before my time here), 943 books circulated in August and September. Last year, 1,223 books circulated. This year, in the past four school days alone we have circulated 788 books. I am excited and a bit nervous about the popularity of the library. Already my once-full shelves are looking very empty, and kids are asking for books that have already been checked out. I think this is going to be a good year. Stay tuned for more updates about the goings-on in my library, as well as additional book reviews (once I have time to actually sit down and read a book instead of simply carrying it back and forth from home to work). Lloyd, Natalie. A Snicker of Magic. Scholastic Press, 2014. Felicity Pickle is from a family of roamers. They never stay in one place for very long. Felicity would love for her family to settle down, and when they return to Midnight Gulch, a mysterious town with a magical past, she's hoping she has found her chance to do just that. 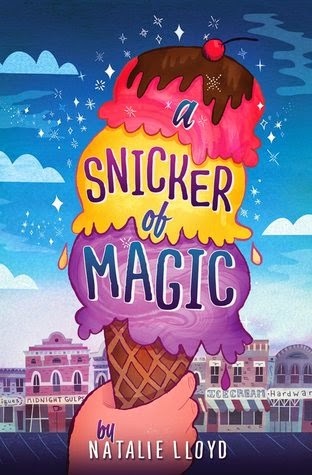 But first she has to make use of the snicker of magic to solve an age-old riddle. This book at once mysterious, hilarious, and heartfelt. The mystery/history of the town is reminiscent of Holes, as is the obvious-to-adult-readers ending. This book would make a great elementary classroom read-aloud, and is an easy read-alike recommend for fans of fantasy novels. Loftin, Nikki. Nightingale's Nest. Razorbill, 2014. John is spending his summer helping his father with his tree-trimming business and taking care of his mother, who is still grieving the loss of his little sister. He meets Gayle during one of his father's jobs and is confused and intrigued by the little girl who can sing like a bird and spends most of her days in a tree. She is a foster child, but she claims her parents will return to find her in "her tree." John must balance his friendship with Gayle with his responsibilities to his family, while solving the mystery of his father's current client's obsession with Gayle's voice. This book reads like an historical fiction novel, but the mentions of cell phones and video games make it obvious that it is supposed to be a modern setting. The story reads like contemporary fiction except for Gayle's character. The lyrical writing style makes this book an obvious Newbery contender. Lord, Cynthia. 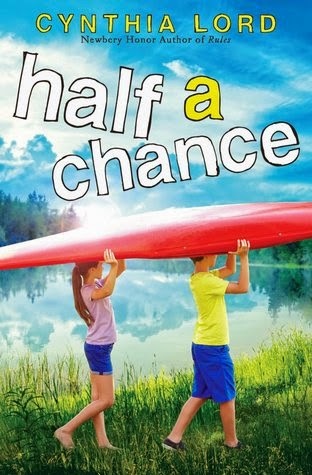 Half a Chance. Scholastic Press, 2014. Lucy longs to be a photographer like her father, so even though she's not thrilled about moving to yet another new home in yet another state, she tries to make the best of it by entering a photography contest. The only problem is that her father is one of the judges. She soon befriends the neighboring family and together with her new friend, Nate, she works on completing the contest as well as keeping an eye on the local loon population. But what will happen when her father finds out that she entered the contest under another name? This story is a perfect summer read. Lucy spends her summer at a lake - swimming, hiking, taking pictures, observing loons. She wants to use her prize money to help Nate's family. She misses her father, but she knows he'll be home soon. She really wants to please him with her photography. This is a great middle grade book, and would be a good classroom read-aloud as well. Williams, Carol Lynch. 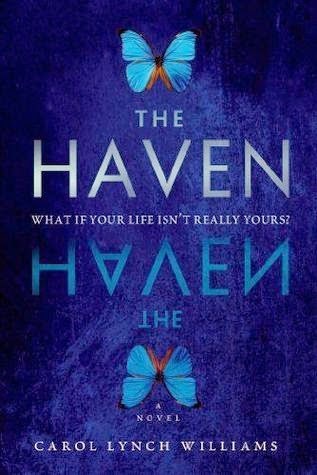 The Haven. St. Martin's Griffin, 2014. Shiloh is one of the Terminals who have spent their lives in The Haven, a quarantined hospital where she can live out her days until the disease takes her life. Her food, her sleep, her exercise, and her health are carefully monitored. She attends classes and watches her classmates disappear, one by one. When one of her classmates offers her a "red pill or blue pill" option, Shiloh has to sort through all she's been told to find the truth among the lies. This book is extremely similar to Never Let Me Go, and as such would make a great read-along or extra book if a patron/student really enjoyed that book. It was very obvious to me from the outset both what was happening to the Terminals as well as how the book would end, but I enjoyed the story enough and know that my students, especially fans of science fiction, would like this book. With the movie based on Lowry's The Giver coming out soon, this book could be easy to book talk in a library. Farizan, Sara. Tell Me Again How a Crush Should Feel. Algonquin Young Readers, 2014. Leila, a junior at a private high school, knows that she's a lesbian, but she already feels like an outsider because she's Persian, so she chooses not to stir the waters further by coming out to her friends or family. 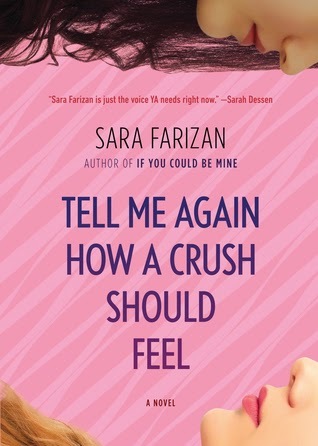 But when she develops a crush on a new girl at school and thinks that the feeling might be mutual, she begins to wonder if other people in her school have as much going on beneath the surface as she does. This book has high school drama written all over it. Bullying, people of various ethnicities, people of varying orientations, cliques, late-night parties, etc. etc. Some of the drama crew are expected to be lesbians, although they later admit to the very naive Leila that they aren't. Leila has her heart broken. Leila picks herself back up and keeps going. 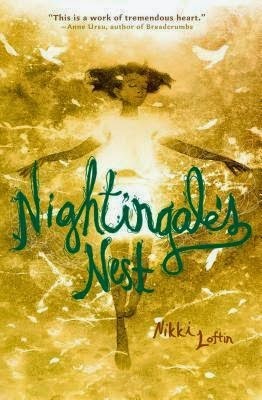 While this book doesn't have the complexity that older teens would crave in a story, younger teens and tweens would enjoy it. The content, however, might cause some parents/teachers to pause before offering this book as an option for students. Geiger, Lee. Pearls of Asia. The Writer’s Coffee Shop. 2014. $25.95. 200p. SC 978-1612132440. 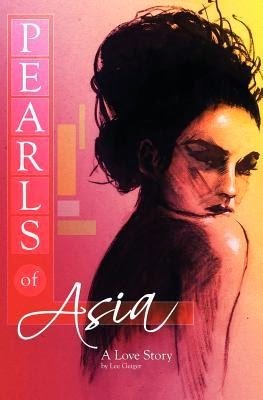 A well-known San Francisco anchorwoman is found murdered, and inspector Mac Fleet follows leads that bring him to Pearls of Asia, an exclusive restaurant where the waitresses are all Asian transsexuals. Mac meets Sheyla, one of the employees of Pearls of Asia who has information he needs to complete his investigation. Mac finds himself falling in love with Sheyla, which obviously violates the “no dating suspects” policy of the SFPD. As the clues begin adding up, Mac has to decide which is more important: his feelings for Sheyla, or discovering the anchorwoman’s murderer. This fairly short novel reads like a standard mystery/investigator story, with clues for the reader to follow, twists in the plot, and an investigator who frequently puts himself in harm’s way in order to find the answers. Add in a host of trans* characters, and this should be a perfect queer mystery. Unfortunately, Mac Fleet is fairly ignorant when it comes to the trans* community, which is surprising considering his lifetime of work in San Francisco. Because of this, this novel reads like Transgender 101 combined with a mystery, rather than a mystery where some of the characters just happen to be trans*. This, combined with a writing style littered with odd similes such as “Diamond … began … shaking her hips like a broken washing machine” (55), makes this book fall flat. There are better books featuring trans* characters. With some editing and consultation with members of the trans* community, this book has potential to be a good, readable story. Stevens, ML. 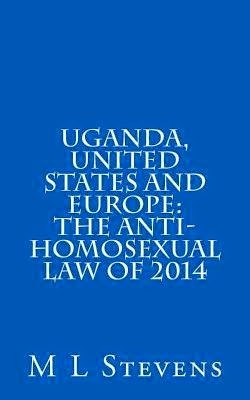 Uganda, United States, and Europe: The Anti-Homosexual Law of 2014. ML Stevens. 2014. $5.38. 83p. SC 978-1-49956-738-0. This work by ML Stevens details both the cultural/political issues in Uganda as well as the development and repercussions of Uganda’s legislation outlawing the practice of homosexuality. The author’s intent is to describe the dire situation Uganda finds itself in and what response would be appropriate from the powers of North America and Europe. The author’s passion for this topic is obvious from the first page of this book. Unfortunately, only 83 pages of content means that many issues are glossed over or simply stated without any background, evidence, or research to support the author’s point. The large typeface, odd line spacing, and multiple typographical and grammatical errors detract from the author’s important message. The style of writing is reminiscent of a high school research paper. The countries of Africa face many difficulties: political issues, tribal issues, and the AIDS crisis, to name a few. Certainly the treatment of LGBT individuals is also of great importance, but this work will not help this topic to garner the attention it requires. With additional research and the assistance of an editor, this work will be ready to add to an academic library’s collection.